Soon you’ll be able to willingly experience some nightmares in bed, as Hellblade: Senua’s Sacrifice is releasing on Switch next week. Originally announced for the platform back in February, Ninja Theory has now unveiled the port will be available on 11th April. It’s due to cost £24.99 and will be a digital-only release, and Ninja Theory currently has no plans for a physical release. 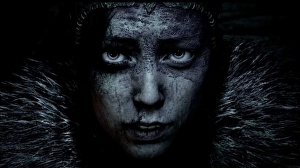 Hellblade: Senua’s Sacrifice first launched on PlayStation 4 and PC in 2017, before receiving an Xbox One port a year later. Clearly Microsoft loved it so much it decided to buy the whole damn studio. I am a proud father of 2 beautiful girl and I prefer gaming among all forms of entertainment. I am also a founder of My Games Club, where we discuss about gaming and how the gaming industry has given positive influence on each of our lives. As a gamer dad I also like to talk tips to live the duel life! Apart from gaming, I also love TV series and reading. I do watch Movies in the weekend too, especially when the mediums crossover with one another. With a passion in reading and gaming, I am working on new projects which will bring together gaming and great novels.